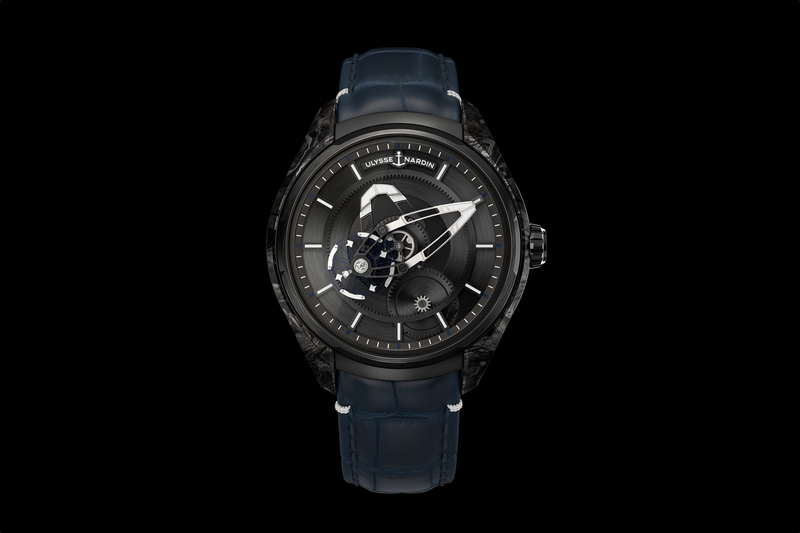 Ulysse Nardin debuts a boutique-only FreakLab timepiece in all black. 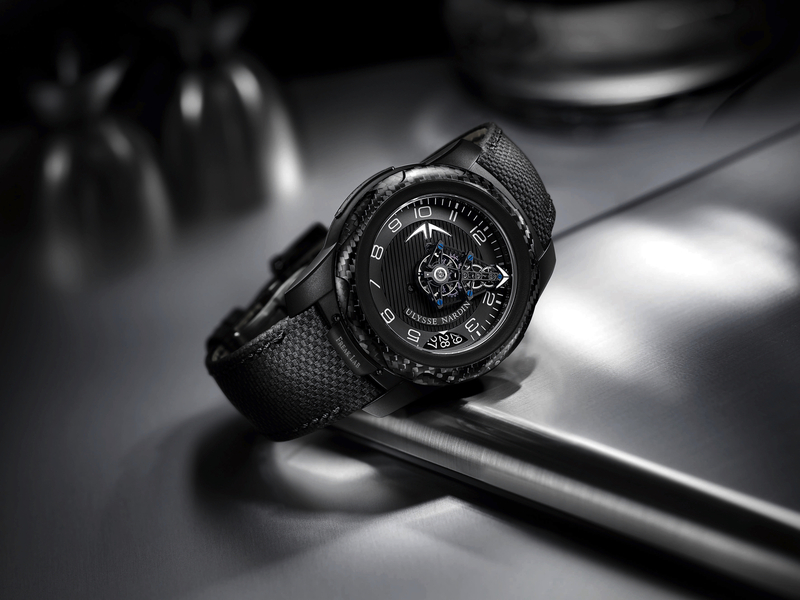 Crafted in blackened titanium with a carbon fiber bezel, the case diameter is 45 mm, and as the name suggests, there is a unique mechanism inside. 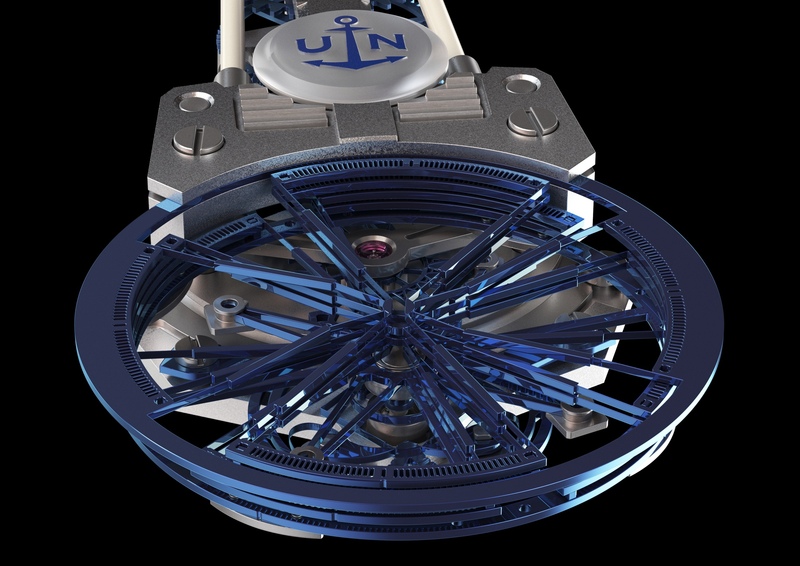 The tourbillon, silicum double escapement, silicium hairspring, balance wheel, and the entire gear train are all visible on the dial. 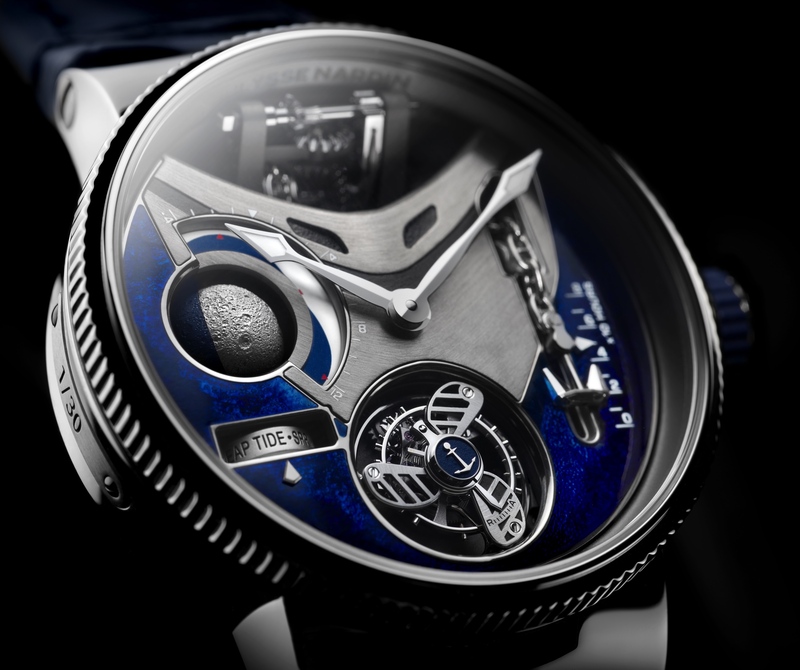 The mechanism you see in the center of the dial, with all the aforementioned components, also acts as the minute hand, rotating once around the dial every hour. Further, a short, exaggerated arrow-shaped hour hand is also set in the center. Together they indicate the time. Setting and winding the watch are just as unusual as telling the time. Instead of a crown, the time is set using the bezel. Setting the time (hours and minutes) is done by unlocking the bezel via a release at 6 o’clock, and rotating clockwise. The (date) is set by rotating the bezel counter-clockwise. Winding the mainspring is done by rotating the caseback. One full rotation is equivalent to 12 hours or power reserve. The maximum power reserve is 7 days.